In what possibly could be the most impactful decision of the Colorado Avalanche’s preseason, the position of backup goaltender is up for grabs. Semyon Varlamov will be the go-to guy between the pipes for about 65 games, ideally, but with Varly’s sensitive groin, the backup goalie position is more important than ever. 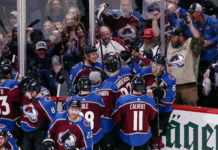 The playoff chances for the Avalanche could very well depend on the play of either Reto Berra or Calvin Pickard throughout the season. It appears as though Varlamov truly is healthy and ready to go for the year however, his history with lingering injuries is always a cause for concern. 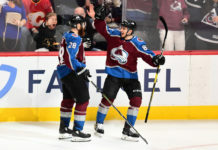 Varly missed 16 games in the ’14-’15 season, 15 of them coming consecutively at the beginning of the season, when the Avalanche got off to their notorious rough start. At camp this season, it is obvious that Varlamov is paying close attention to the well being of his groin, performing different stretches that target that specific area every chance he gets. 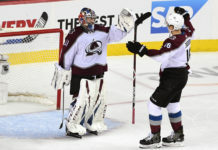 Head coach Patrick Roy said, “Everything is good,” when he was asked about the state of Varly’s groin just before camp. “He said he feels ready for the start of training camp,” Roy added. Roy says that the backup competition is open, meaning that each goalie’s performance last season does not factor in to the decision now. With such an important decision lingering for the Avalanche, here are a few things on each goalie and their game. Strengths: Berra’s size is without a doubt one of his best assets. In today’s NHL the larger athletic goalies have been highly coveted and at 6-foot-4, Berra qualifies as a newer age, large, athletic goaltender. Berra can typically always stop the initial shot he is facing. Struggles: After the initial save, Berra sometimes struggles to control the rebound. He then has a hard time recovering, and instead of sliding to be square to the rebound shot, he finds himself laying on his side hoping for a miracle save (a la Dominic Hasek). Strengths: Reads the play well and can anticipate what is going to happen before it happens. He is technically sound and displays the traits of a well-trained modern goaltender. Pickard slides well and stay square to the shot at all times. 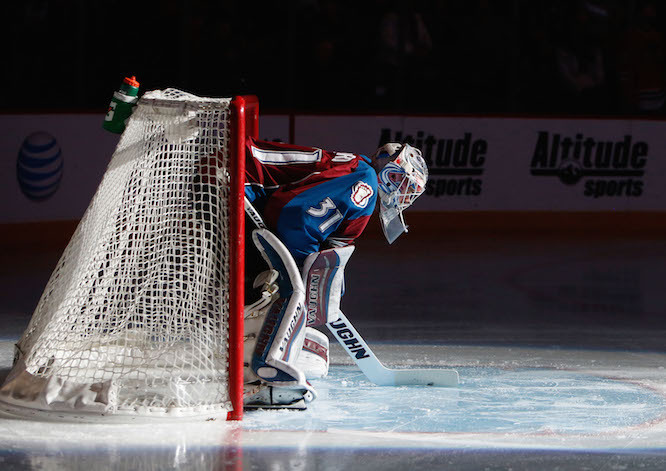 Struggles: At his size, sometimes it seems as though Pickard sits a bit far back in his crease. Ideally, you want a goalie to stand around the top of the crease and sometimes even come out further to cut off angles, depending on circumstance. Some goalies prefer to stay back, allowing for more time to see the puck as well as shorter distances between where they have to move or slide. Both guys could win the competition, but whoever ultimately does will have a big say on whether or not the Avs ultimately make the playoffs.